Kildare local Audrey Moore is launching her second children’s book, Ping and Po-Li, Rainforest Rescue on Friday April 12 at Kildare town library. 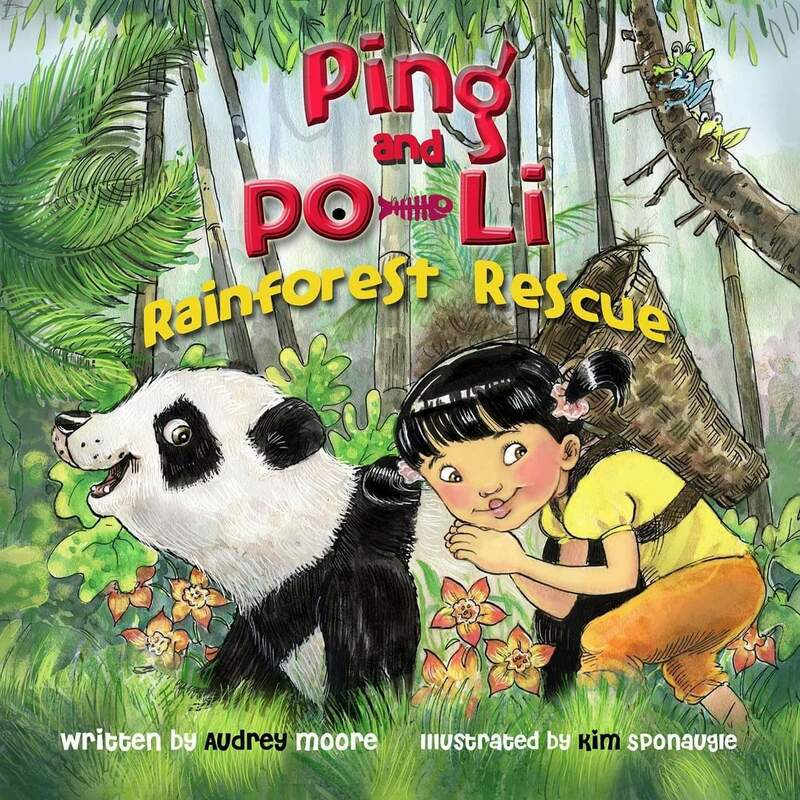 Ping and Po-Li Rainforest Rescue is illustrated by the award-winning Kim Sponaugle, who has illustrated more than seventy children’s books. "The Ping and Po-Li series was a delight to work on, with it's delightful rainforests, mountains and lovable jungle creatures...Audrey created a story that was great fun to tell," said Kim. Audrey’s first book Ping and Po-Li was first published 2015 and was such a success she decided to carry on the series. Audrey’s books have an underlying educational story for children. Her first publication Ping and Po-Li focused on healthy eating with a varied diet and her new book tells the story of a little Loris who is hiding from hunters and teaches children to help vulnerable people and animals and to stand up for them. All the animals featured in both books are endangered and finish with a Did You Know section at the end for older readers to learn all about the animals. Audrey has been very busy over the last few years promoting her first book, reading to children primary schools and libraries across the county to children. Audrey works in a law firm part time in Naas and lives in the country just outside Kilcullen with her husband, Ray, children, Jessica, Elinor and Jamie, dog Sam, a goldish, a bunny and five chickens. There will be complimentary face painting, colouring pages and crayons refreshments and goodies at the launch, which kicks off at 6.30pm. Every book purchase enters a free raffle draw. So, why not come down and hear Kildare Town Library’s very own storyteller, Carmel, read Ping and Po-Li Rainforest Rescue and get your picture taken with the panda mascot. You can purchase the Ping and Po-Li, Rainforest Rescue from Barker and Jones in Naas, Farrell & Nephew in Newbridge and Woodbine Bookshop in Kilcullen, or order direct from Audrey’s website www.audreymoorebooks.com for €8.50. Audrey will be having a local launch in Woodbine Bookshop in Kilcullen on Saturday May 18 at 2pm.